All ROSE COURT homes currently listed for sale in Provo as of 04/18/2019 are shown below. You can change the search criteria at any time by pressing the 'Change Search' button below. "COME CHECK OUT Rose Court! 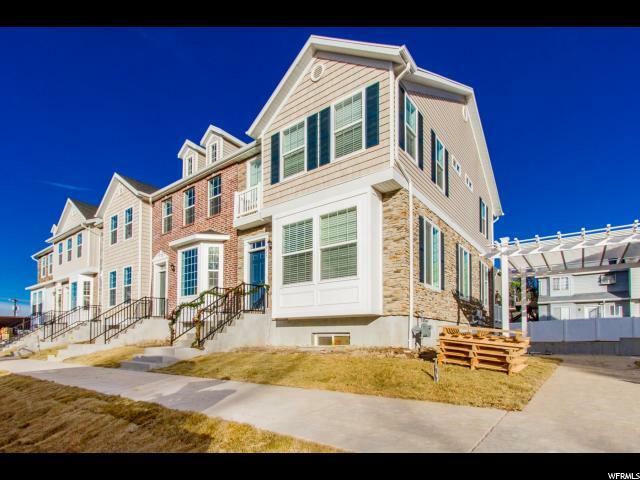 This upscale collection of nine upscale townhomes is conveniently close to Spring Creek Park (Provo's newest and nicest one)! This is classic architecture at its timeless best. You'll love the nine-foot ceilings on the main floor, the large kitchen, with its generously large island, as well as the spacious deck that's simply perfect for summer gatherings. Upstairs you'll find three bedrooms, two baths, a laundry room, and, hidden in the ceiling, a pull-down staircase to a large attic storage area.A flex-room in the basement can be used as another family room, bedroom, den, theater, or storage area. These qualities make owning a townhome at Rose Court always a wise investment. This home is located in one of Utah County's only two Opportunity Zones. Big tax advantages! SeeAgent Remarks for more info! Close as well to restaurants, grocery shopping, BYU, East Bay golf course, and freeway access. Square footage per attached floor plan; buyer-broker to verify all info. " 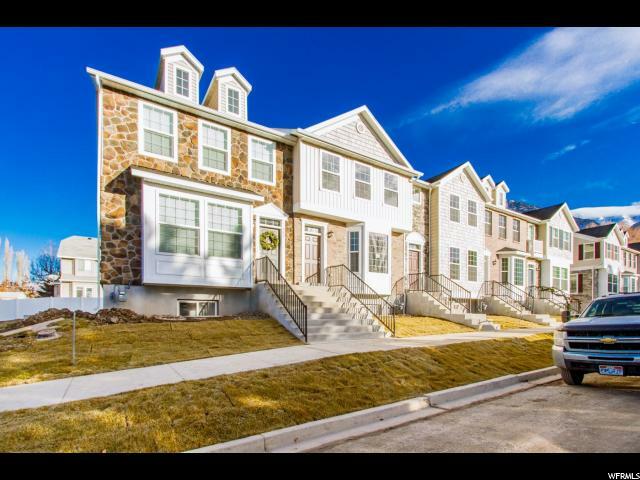 "Welcome to Rose Court a collection of nine upscale townhomes conveniently close to Spring Creek Park (Provo's newest and nicest one)! This is classic architecture at its timeless best. You'll love the nine-foot ceilings on the main floor, the large kitchen, with its generously large island, as well as the spacious deck that's simply perfect for summer gatherings. Upstairs you'll find three bedrooms, two baths, a laundry room, and, hidden in the ceiling, a pull-down staircase to a large attic storage area. A flex-room in the basement can be used as another family room, bedroom, den, theater, or storage area.. These qualities make owning a townhome at Rose Court always a wise investment. This home is located in one of Utah County's only two Opportunity Zones. Big tax advantages! SeeAgent Remarks for more info Close as well to restaurants, grocery shopping, BYU, East Bay golf course, and freeway access. Square footage per attached floor plan; buyer-broker to verify all info." "Welcome to Rose Court a collection of nine upscale townhomes conveniently close to Spring Creek Park (Provo's newest and nicest one)! This is classic architecture at its timeless best. You'll love the nine-foot ceilings on the main floor, the large kitchen, with its generously large island, as well as the spacious deck that's simply perfect for summer gatherings. Upstairs you'll find three bedrooms, two baths, a laundry room, and, hidden in the ceiling, a pull-down staircase to a large attic storage area. A flex-room in the basement can be used as another family room, den, theater, or storage area. These qualities make owning a townhome at Rose Court always a wise investment. 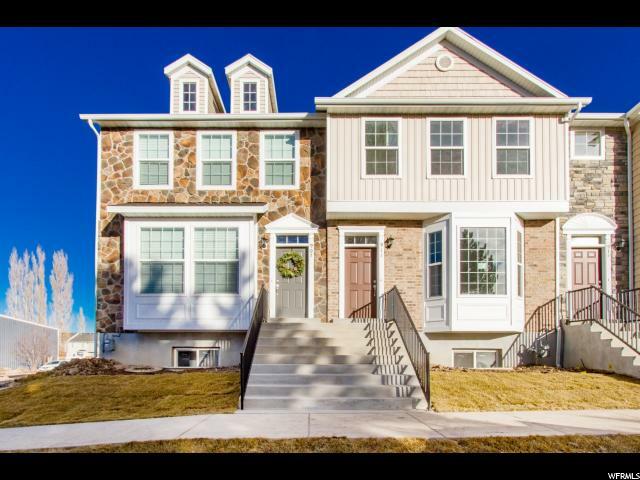 This home is located in one of Utah County's only two Opportunity Zones. Big tax advantages! SeeAgent Remarks for more info! Close as well to restaurants, grocery shopping, BYU, East Bay golf course, and freeway access. Square footage per attached floor plan; buyer-broker to verify all info."